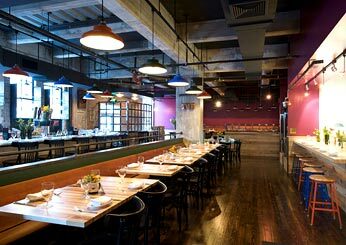 Alon Shaya partnered with F&W Best New Chef 1999 John Besh on this homey Italian restaurant in the Roosevelt Hotel. Shaya worked in kitchens around Italy for a year to develop the menu, which includes house specialties like limoncello, salumi and pasta. 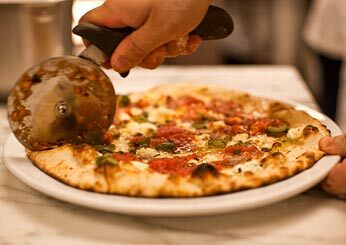 The pizzas are made in a Pavesi wood-fired oven with a rotating stone deck. He uses pecan wood in the Pavesi for pizzas like his cotechino, topped with oven-dried tomatoes, scallions and pork sausage. 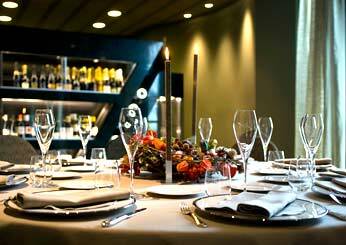 Restaurant offshoots don't tend to get buzz, but the second A Voce has generated as much as the first did. "I never expected we'd get this much attention," says chef Missy Robbins. Credit the incredible view, new dishes like pancetta with pork belly and figs, and bottles like the 2006 Ornellaia Le Volte ($58) on wine director Olivier Flosse's impossibly deep list. Marc Vetri (an F&W Best New Chef 1999) is a master of sophisticated Italian, but lately, he's been skewing casual. 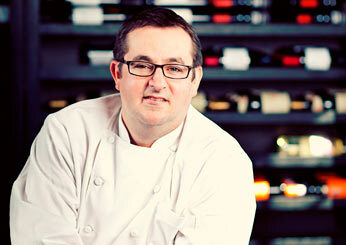 His newest place, Amis, specializes in Roman comfort food. Amis's industrial-chic space doesn't look like a trattoria, but dishes like the gnocchi alla romana with oxtail ragù convey an authentically rustic feeling. 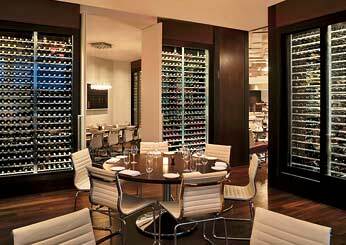 The succinct wine list has just two dozen Italian bottles, and all are available by the glass. Local foodies rarely travel downtown, but the new Wit Hotel is actually drawing them in with the recently launched Cibo Matto. Chicago native Todd Stein uses local products like Lake Superior whitefish, which he serves with saffron-scented fregola and crispy parsnips. The restaurant's airy design by the Johnson Studio, which also did TRU restaurant, includes a 4,000-bottle glass tower. The wine list is seasonal, with more whites in the summer and a red-heavy lineup in the winter. Owner Danny Meyer led Gramercy Tavern alum Nick Anderer on an epic five-meal-a-day tour of Rome to research dishes like malfatti al maialino (suckling-pig ragù with hand-torn pasta and arugula). The almost-exclusively Italian wine list includes finds like the earthy 2001 Bovio Barbera d'Alba Regiaveja ($52). 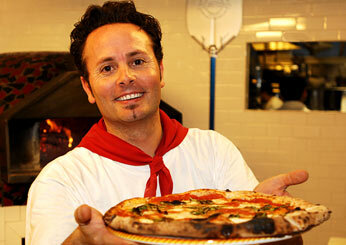 Tony Gemignani won the Naples World Pizza Cup, earning him true pizza cred. His new restaurant, which is connected to a school that helps prospective pizzaiolos get certified by the Scuola Italiana Pizzaioli, churns out pies from three different types of ovenswood-burning, electric brick and gas brick. Each day, Gemignani makes exactly 73 of the Margherita that won him the cup. Chef Isaac Becker of 112 Eatery opened his latest place in part so he could cook pasta every which way: "Dry and fresh pastas both have their merits. I get to showcase them side by side." Becker uses dry Rustichella d'Abruzzo pasta for dishes like his rigatoni with milk-braised chicken and makes fresh pasta handkerchiefs to serve in a pesto sauce with whole basil leaves. The wine list covers the globe but is strong on Italy. What do Texas and Tuscany have in common? 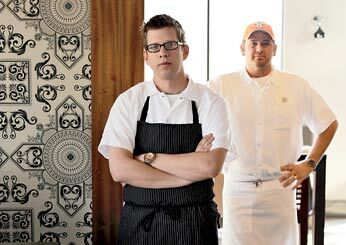 "Big, bold flavors," says Bryan Caswell (an F&W Best New Chef 2009). At Stella Sola, Caswell's chef de cuisine, Justin Basye, creates hybrid dishes like bucatini carbonara with Gulf crab, as well as wood-roasted mussels with salsa verde; wines include Italian standouts like the hard-to-find 2008 Vietti Roero Arneis ($30). Sommelier Matteo Toso's wine list at the resort's restaurant, La Rei, reads like a tribute to the region's star grape, Nebbiolo, with a huge selection of Barolos from nearly 50 of the greatest producers. 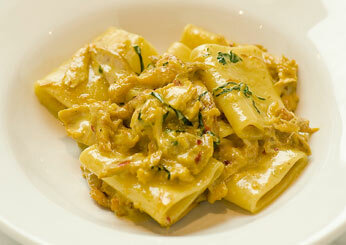 To go with the wines are chef Chen Shiqin's traditional Piedmontese dishes. Shiqin has trained for 10 years with consulting chef Gian Piero Vivalda at his famed Michelin two-star Antica Corona Reale da Renzo, perfecting classics like beef stew cooked in Barolo and tajarin egg pasta with loads of shaved truffles. 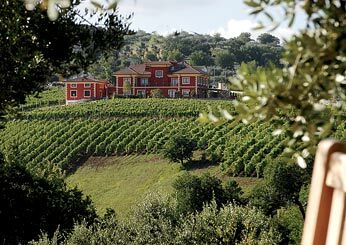 Mastroberardino winery owner Piero Mastroberardino spent 10 years buying up little parcels of land to get enough space to open his dream hotel and golf course, Radici. 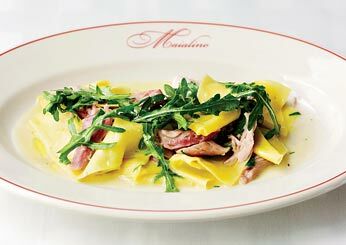 Its restaurant, Morabianca, stocks many vintages of Mastroberardino's winessome available nowhere elseto go with chef Francesco Spagnuolo's updated regional dishes, like pork cooked with honey and Aglianico.